In a dozen days, I will be at the Belgian Open Junior in Spa. This year, this Open will be very strong with the presence of the Junior Chinese Team and the Japanese Cadets Team. Also maybe the Chinese Cadets Team, but I'm not sure. And also on this Topic. 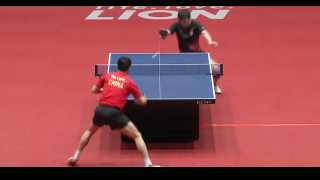 Last edited by TableTennis BelgiumTV; 6 Days Ago at 04:05 PM. Are you struggling to use your setup? Gauzy is trying a bit of everything.